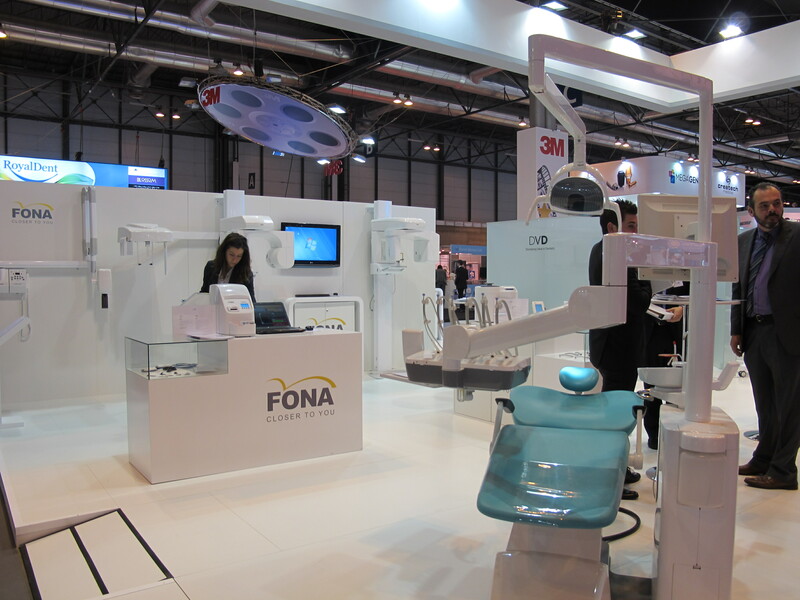 FONA was very proud to present its exciting products at EXPODENTAL, the International Dental Equipment, Supplies and Services Show, taking place from 13th to 15th March 2014 in the exhibition center Feria de Madrid. Expodental Madrid is known as the largest platform in the Spanish dental industry. The exhibition brought more than 300 companies from 16 countries for its 13th edition. This three days exhibition, enabled companies and professionals to meet and see the latest innovations in the sector. Especially the presentation of FONA XPan 3D and its imaging software OrisWin DG Suite 3D attracted a lot of interest, as well as FONA 2000 L, the new model of FONA’s Treatment Center portfolio. We would like to thank all our visitor for their interest. A special thanks also goes to our partner DVD who, with their dedicated efforts, made the exhibition a real success.